Looking for for a temporary shelter room ? 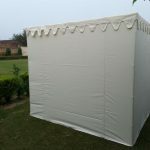 We make canvas cabin tents on frame, to erect indoors. 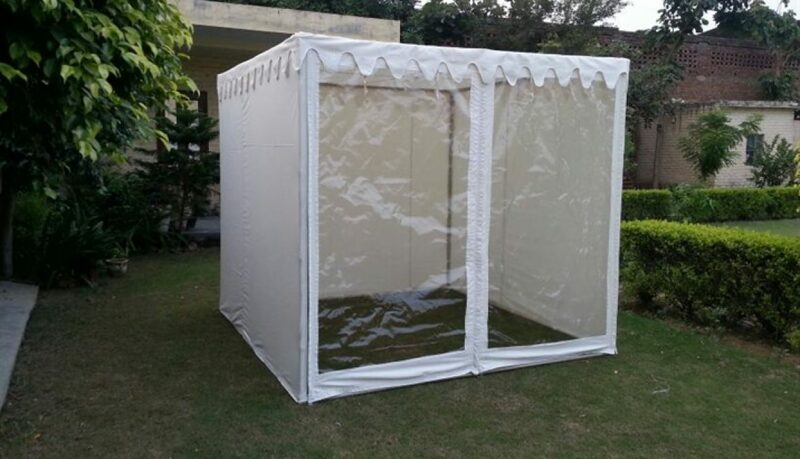 This is a temporary structure, with transparent walls, to keep an eye on the workers sitting inside the comfort of your cabin tent. 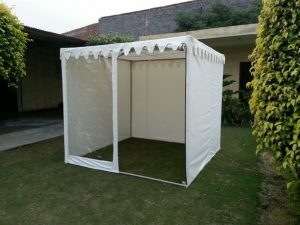 These tents are helpful where you cannot construct a concrete office. 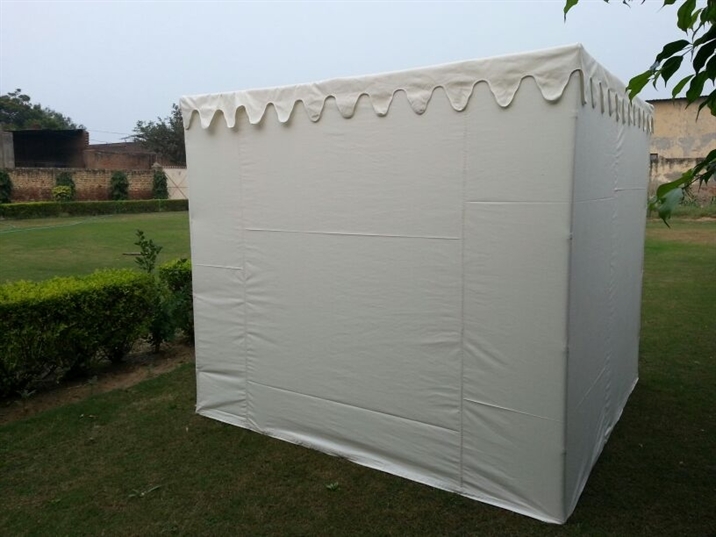 This tent is erected on an easy to assemble metal pipe frame with sockets, and can be packed in a carry bag. 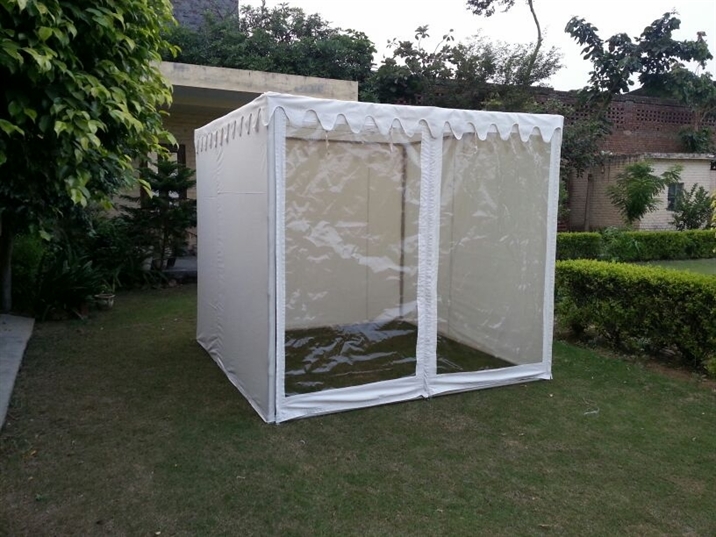 We customize porta canvas cabins, according to your specific requirements of size, air conditioning, transparent doors with zips, screened windows and Canvas colors. You can also customize the inner print and ask us to put your company Logo on the outer canvas or inner lining. To know more about our company and our work, kindly Check This.